Gender Economics is the fusion of sociology, economics and gender studies and looks at shifting current perceptions of gender and how we use these perceptions in framing economic policy. Very often, it is an intersection of gender, values and beliefs that create policy decisions, many of which are based on outdated models. It is important that we start to understand how economic research is conducted, how the statistical analysis is created and how this flows into policy decisions and ultimately the business bottom line. Think of a persistent organisational challenge and start to unpick it by looking at the assumptions and environments that created the challenge in the first place, chances are the core of the challenge has been created by imposing outdated business models, values and measurements that no longer work. Then reframe the challenge by applying new thought paradigms and you may very likely uncover innovations that lead to increases in performance. Traditional gender stereotypes have shifted and organisations can no longer assume that they are catering to the working heterosexual white male with a wife at home because the ground rules have changed. According to Wikipedia2, the US LGBT consumer market in 2013 ‘is estimated to have an overall buying power of more than $835 billion’. This demonstrates that marketing to this group requires specialisation to reap the benefits of that economy. Much of our business culture is centuries old from the structures to the drivers, and our organisations must change to keep pace with a global economy where diversity, and cross-cultural management enforce new skills around managing complexity. In 2009, the Harvard Business Review3 made the bold statement that “Women now drive the world economy”, and estimated that globally women will control about $20 trillion in annual consumer spending over the next five years. Look at any social networking site or news stream and you will see articles that recognise that the financial empowerment of women is a game changer. Businesses must now attract talent from a wider pool, some from necessity, but many recognising that by developing a “Women’s Employer of Choice” reputation, it will ultimately help them increase their competitiveness in the market. However, it is not as simple as painting women’s issues with a ‘pink’ brush, organisations must understand the shifts that have taken place in gendered stereotypes and how this sociological change now affects business structures and changes in economic policy formation. Gender Economics looks at how gender influences economic decisions and how those decisions impact gender. The way we target gender for economic gain or increased market share can either benefit or degrade the rights of marginalised groups, often leading to policy formation with an underlying gender bias overlaid with a view on how economics, policy and gender interact with society. This emerging field challenges current economic theory, broadening the conversation to encompasses sociological complexities currently at play in society – ie: we look to deconstruct economic policy, reconstructing it in a manner that allows us to develop rational and objective tracks for further research. Issues of female inequality have persisted for decades if not centuries and instead of talking about the issues, Gender Economics explores underneath the issue and provides new discourses that have the power to change the way we work and live. A simple example of Gender Economics and a persistent issue is the gender wage gap in Australia that continues regardless of the amount of effort and talk that goes on. In 1907 Australia passed a little known policy known as the “Harvester Judgement ” that saw the start of reduced wages for women in preference to that of the ‘working family man’. This policy was introduced primarily to give organisations a competitive advantage through the use of cheaper female labour and this precedent continues today with feminised work segments in organisations exploiting cheaper labour without thinking about leveraging their diverse workforce for gain. Much of our business culture is centred on the concept of scarcity, of not enough to go around but where did this thinking process start? Staying competitive by having unique products that differentiate you from the rest of the marketplace can lead to a culture of aggressive competition and cost cutting. With more organisations becoming lean and agile what if the model moved from one of scarcity to one of ‘abundance’. What are the attributes of abundance and is it just a mind shift or can we create business models that promote it? Some argue that the accepted female attributes of sharing and collaboration may lead to a richer business environment, so would increasing gender diversity change your organisation? Gender Economics is the new Business Transformation, the next major resource, and will open a channel to increased innovation and creativity through Diversity of Thought and the ability to maximise the management of our increasingly complex environments. Organisations that understand that gender balance is the new competitive edge will be better equipped in a global marketplace where women are increasingly taking their place at the decision table. Whether it be a increased awareness of women’s economic impact at a country level or that gender diversity has been shown to add benefits to company board, women are learning to invest in themselves and their financial future. There are many persistent gender issue’s that just don’t seem to go away and this is particularly true in areas of gender inequality, and I feel that this is because we so often talk ‘around’ the issues instead of deconstructing them and understanding why they are issues in the first place. The next step is to start unpicking current thinking on economics and business start reframing our thinking, putting age-old issues into new contexts – that is Gender Economics at its core! Is this simple Gender Diversity formula holding your organisation back? For the mathematically minded, a Gender Economics formula. When many organisations talk about Diversity or Gender Diversity, they tend to go into a circular state. This is from one of my recent talks about GE highlighting the formula – Diversity (seems to) equal (discussions about) Flexibility (which then go into discussions) that equal Women (then we think women) so equals Flexibility, then it equals Diversity (discussions) and here we are again with Diversity equalling discussions about Women. Of course the discussion should be about way more than that, but this simple formula is one of the things that I think is holding our organisations back from realising actual performance improvement by leveraging diversity. I will be delivering this talk to the Economics, Commerce and Finance Society (ECFS) at Macquarie University on Monday 12 October, 2015. What does diversity actually mean and what is the link between diversity and increased organisational performance. This session will take you on a journey to explore how we have arrived at this point and how societal and cultural pressures affect the way that we have created our corporate environments. Lets strip away the buzzwords and the favourites in the gender diversity discussion like pay gap, women’s leadership and mentoring and see what that actually translates to in real terms and why things aren’t changing as quickly as we might like. Susanne Moore will discuss some of the findings in the resources industry through her research and consulting using the Diversity Program Review Framework (DPRF)and the concepts of Gender Economics. Find out what you can do in the new economy and why it is important for both men and women Lead in the Female Economy* by understanding the way that diversity will impact the ‘new business transformation’. *#imputtingmyhandup to Lead in the Female Economy is a program of The Centre for Gender Economics and Innovation which will be launched at the end of October 2015. The Centre for Gender Economics & Innovation aims to be the global leader in bringing a “Gender Economics” lens to understand and improve business performance and enable the sustainable management of complexity (diversity). The Centre uses a proprietary framework, the DPRF to assess an organisation’s diversity, innovation and performance capability on a maturity scale against international benchmarks. Would you like your organisation rewarded? Susanne is the Founder and Chair of The Centre for Gender Economics and Innovation (C4GEI™) and is credited with developing the emerging fields of Gender Economics (macro) and Diversity Economics (organisational). Now a Sociologist after a career in ICT and business, she has a focus on Gender, innovation and performance at an organisational level. 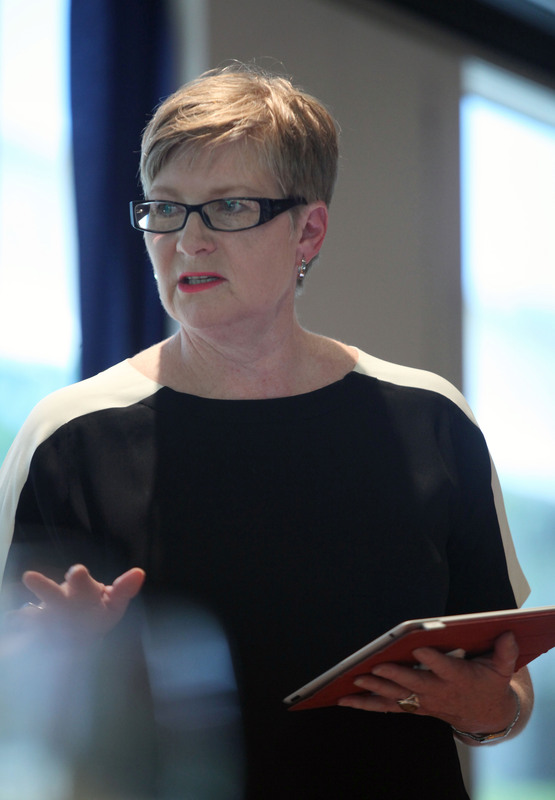 She is the creator of the Diversity Performance Review Framework or DPRF, currently used in the Australian Resources industry to ‘recognise’ (AWRA Recognised) organisations as a ‘Women’s Employer of Choice’. She is conducting a research project on ‘The Profit Impact of Organisational Gender Diversity programs’, and brings practical business experience coupled with academic rigour to her consulting practice around Gender Economics. Susanne is the Founder, Managing Director and International Executive Chair of the Centre for Gender Economics and Innovation™. The Centre for Gender Economics and Innovation aims to be the World’s leading social enterprise improving women’s contributions to the economy and helping women achieve their leadership potential. and targeting innovation improvements through diversity of thought. I was listening to the National Press Club discussion about Superannuation today with a panel including John Brogden, former politician and now Chief Exec of the Financial Services Council. Brogden is expected to head up AICD in early 2015 and he said that “looking forward twenty years, when the head of AMP for example has $200 million of super funds to invest, he and others like him, will be listened to”. They will be listened to by the investment market, by ‘mums and dads’ and no doubt by government. With the $ value of managed funds expected to grow, what those companies invest in, or want to invest your super funds in will make a difference. Not just to your super nest egg, but to your life and the lives of your family. These ‘super’ funds will become even greater influencers to government policy, and the market economy than they are now. If that is not scary enough, now think about who might be the key influencer in that company? No doubt the CEO or Chair of the Board. What is the gender, cultural and age diversity mix of the board and what sort of company culture have they developed? Do they have an interest in sustainability, do they have an interest in gender equity and equality, are they an inclusive company? Or, like many current organisations, the decision makers remain majority male. Yes sure, they may have a great understanding of the benefit of diversity, they may even be pro women, but if board gender diversity numbers of women continue to decline, we could be in for some startling outcomes over the next twenty years as raised by Brogden. In twenty years our reliance on superannuation to fund our retirement will increase significantly and with larger and larger amounts of the elderly and pre retirement (50-65 year olds) already struggling, the impact could be dire. How will the current lack of women in senior leadership and boards play out in this scenario twenty years into the future? Are you scared? You should be. Unless we can see more diversity in our top companies, and quickly, then we have the potential to have decisions made that benefit the few with the exclusion of the many. This is why it is vitally important that we encourage our girls and young women to invest now, to understand the investment cycle and plan for their future. Don’t leave the influencing decisions to others. With rumblings in the Australia Super Industry and government about different ways to structure super and how and what super funds might invest in, it is important that we understand what is going on and what the ramifications might be for the future. For example, some of the rumblings mentioned in todays Press Club Event by Chief Executive of Industry Super Australia, David Whiteley were; investing 5% of super in public infrastructure, or not making super contributions compulsory for low income earners because well, “they will always be on benefits anyway”. Note this is not necessarily Whiteley’s view, he was merely demonstrating the potential issues when large amounts of money are involved and then mixed with value judgements, bias and in some cases downright discrimination or stupidity. The potential to degrade the lives of others by limiting diverse opinions on some of these boards could be real. The resultant economic impact could be gendered if we don’t do something about the gender pay gap and gap in superannuation savings between men and women now. Think about where the money and influencers are? They are normally heads of state, CEOs or owners of large corporations, the banking and finance industry, or leaders in industry segments all trying to do the best for their shareholders. With the increasing amount of money accumulating in superannuation, we are seeing another major influencer being created. Thinking forward and looking under the surface of what is happening and pointing out the gendered implications is what Gender Economics is all about. Contact us at The Centre for Gender Economics and Innovation for more information about innovative board strategy, research on economic decision making and creating a diverse high performance culture. I am keen to understand what the average spend is on Diversity programs and how this spend relates to other organisational priorities. From my experience so far, it seems that there is commonly an amount spent on setting up the Diversity Board and then very often the program stalls. I am continually dismayed at the rhetoric that says that organisations are keen to increase gender balance, yet the amount spent on the activity is very low and in some cases equal to the amount an organisation may spend on a day at the football for their clients as a marketing activity. Many organisations don’t have an ongoing Diversity Budget so after the set up of the Diversity Board stalls, it is difficult to gain approval for any further activity. Clearly if any activity is not set up for success, then it is likely to fail and I constantly hear the same comments from senior managers who just don’t understand why they can’t successfully attract and retain women. These comments are typically; “we have given them (women) leadership training, we have provided them (women) mentoring, and we have done unconscious bias training”. They then look at me puzzled as if they have done everything in their power to fix the problem, yet women just don’t respond. It is so much more complex than this, but that is for another post! If I can collect some simple $ metrics then I can start to build an argument about the value of gender balance to organisations in relation to their spend on the activity. My guess is that most are spending very little and then wonder why they are not getting any tangible results. Many of the programs that I assess currently are not set up for success in the same way that we would set up and IT program – again this could be due to a lack of commitment and funding or just a lack of experience and knowledge about setting up a program. Its up to us to change our own view of what it is to be a woman, so we can change the stereotypes for both men and women. How often do you have to catch yourself thinking that a women doesn’t look quite right or shouldn’t be doing that job? We can all challenge our beliefs about a woman’s role, and support organizations like Pantene who seem to ‘get it’. Women have enormous purchasing power as consumers – let’s use it to.